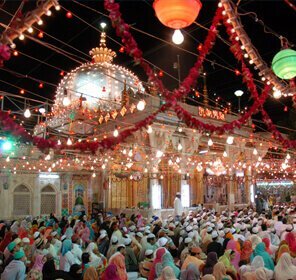 The Ajmer Jain temple which is also called as the Soniji Ki Nasiyan is a Jain temple in Ajmer, Rajasthan which has grown to become a popular tourist attraction of the place. The main chamber of the temple is known as the Swarna Nagari or the City of Gold as it has several wooden figures which are gold plated. 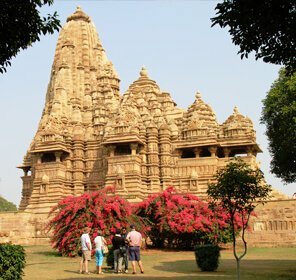 This temple is also known by the name Red Temple as it is made of red sand stone. 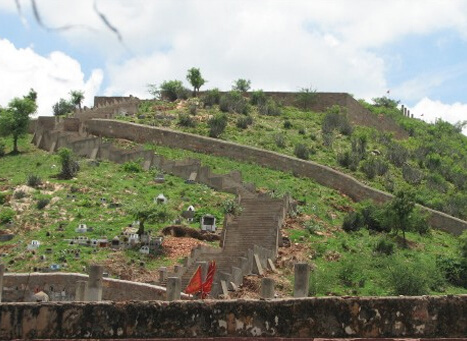 There is a marble staircase which leads to the main temple and you will get to see many images of the Tirthankars here. In the centre there is the image of lord Rishabhdev who imparts the knowledge of humanity. This is the portion of the temple where only the Jains are allowed to perform their religious ceremonies. Then you have the beautifully designed Manastambha which is about 82 feet high. This Manastambha was built by the famous Soni family who installed many images of Jain Tirthankars inside it. There is a huge library here where you will find many Jain scriptures which are used by the scholars for their research. The second part of the temple is the museum which is called the Svarana Nagara Hall. The main attraction of the museum is its interiors which are made up in gold. This museum shows the five stages of life of Lord Adinath in the statues that are built. The hall is decorated with mineral-colour paintings and Belgium stain glass making the place look even more attractive and beautiful in the eyes of the visitors. The temple premise has an exquisite work of art displayed on its walls and there are small silver balls hanging from the ceiling which mesmerizes the visitors. 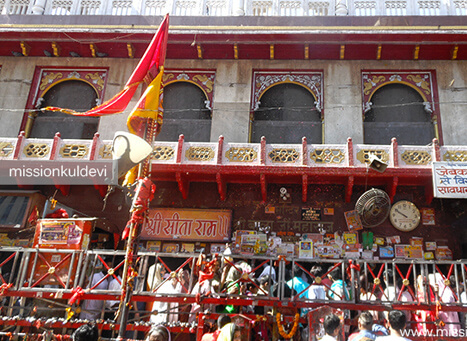 The temple imparts a divine aura in the minds of the devotees and pilgrims who travel to visit here from all over the world to pay their homage to Lord Adinath. 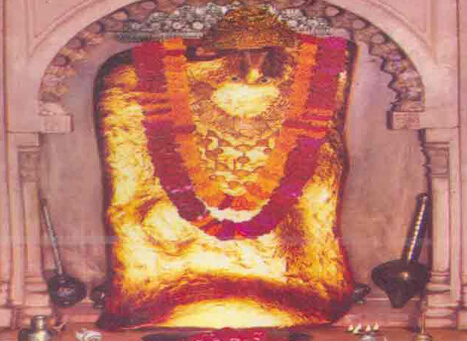 The famous Jain temple in Ajmer was founded in the year 1864 and then on 26th May 1865 the image of the first Tirthankar Lord Rishabhdev was installed in the sanctum of the temple. The work of the temple was carried out under the supervision of a renowned scholar named Pandit Sadasukhdasji. This temple in Rajasthan is easily accessible from any major cities of the country via railway and airways. 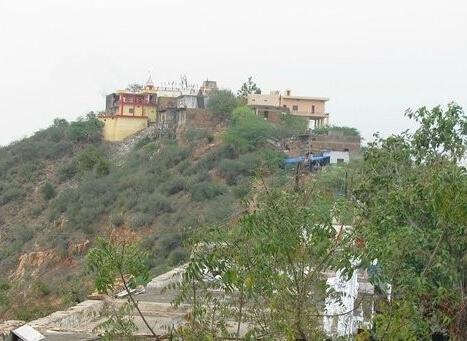 There are regular buses and taxis available from Ajmer which drops the passengers to the temple road. This temple is a must visit not only for the Jain followers but also for people of other religious beliefs. The temple hall is marvelously decorated with precious stones and many beautiful drawings adorn the temple walls. The temple symbolizes some amazing craftsmanship of the people of those times. Tourists do spent some quality time here exploring the beauty of the temple and admiring the outstanding work of art. The temple remains open on all days from morning 9am to 4 in the evening. The temple charges Rs.10 per person for Indian visitors and Rs.25 per person for foreign travelers. 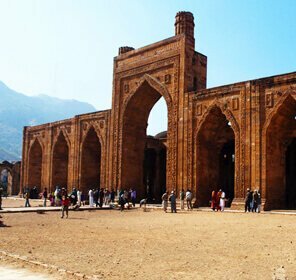 Winters would be ideal to plan your tour to the Ajmer city in Rajasthan.